In this series, we explore three simple steps you can take right away to start growing your business intentionally. This post is part two of the series (find parts one and three here). Congratulations! You have the core of your plan created. Now, it’s time for implementation. But first, a note about mindset. Many business owners have resistance toward investing in their business — whether it’s an investment of money in a new service, software product, or employee. But here’s the brutal truth. Businesses that grow are those that are unafraid to spend money on essential initiatives. For example, you may think you’re saving time by doing everything yourself, but what if you had someone who specialized in that task focusing on it for you so you could take more sales calls? This investment would more than pay for itself almost instantly. Beef up your accounts to avoid cash flow problems. Add extra inventory, when it makes sense, or replace inefficient equipment with new. Make repairs or improvements that will make the business more accessible. Use technology to automate menial tasks and save time. Of course, don’t go on a spending spree that wipes out the profits you’re bringing in — and always prioritize your investments and take them one at a time. Let’s take a look at some of the most common investments smart business owners make when implementing their growth strategies. It may not be necessary right away, but once your business starts growing, you’re likely going to need additional employees. Unless you operate primarily online, you’ll need enough people to ensure that you can meet your customers’ needs. Finding the right employees will be a lot easier if you plan for hiring early and develop a good idea of what your ideal employee looks like. Since you’ll be hiring while growing your business, hire based on future needs instead of your needs at that particular time. Look for employees who are ambitious and dedicated to their work. Interview candidates who are interested in a long-term position, possibly leading into a career; your ideal employee is likely looking for growth opportunities in the future and will give you their all to help secure future promotions or advancements. Someone who’s already familiar with your industry would be great, though depending on the position you’re filling, it may be just as easy to hire someone with the right attitude and provide training to fill in the gaps. And if you need a very niche skillset or expertise, consider hiring a freelancer. Market. This is your target audience, the people you really want to work with most. You must be specific about your ideal market. An example would be married women aged 25-40 with incomes of $50k or more and who drive minivans. Message. How you communicate to your target market matters. You want to use a message that really speaks to your audience by addressing a problem that they have and can’t seem to solve or something they want quite badly. Keep these five words in mind at all times when developing your message: “What’s in it for me?” (in this case, “me” is your audience). Medium. Where you put your message out is as important as what that message is. Find your audience where they live, work and play and then show them your stuff. There’s no point in blasting marketing messages in places where your people aren’t. Those minivan aficionados that are your market might be on Pinterest if you’re selling craft supplies or other DIY materials, for example. This marketing tactic is especially effective during periods of growth because it allows your business to reach out to a number of potential audiences in an attempt to bring in more than just your core customers. An orthodontist may believe she’s providing alignment services so her customers can have healthy teeth — but the patient is really purchasing confidence. A lawyer may believe she’s selling law services — but what the client really wants is reassurance, hope, and the ability to trust someone with a sensitive issue. Eliminate jargon and communicate in your customers’ language, and you’ll already be miles ahead of your competition. Lead capture. All those leads, but no plan to capture them is just sales money wasted. Ensure you can handle the volume of leads you expect by hiring temporary staff or partnering with an answering service that will only charge you if you’re using it. Onboarding procedure. Bringing a new customer or client into your system should be as painless as possible for said customer. Don’t send them 10 pages of forms, distill your questions to the most important. The rest you can pick up as you go. Available products or staff to provide services. Do you have enough people or products ready to go if that marketing blitz goes off as expected? Don’t make anyone wait, even if that means bringing in temporary contractors or investing in extra inventory. It’s best to approach sales growth slowly by mastering your message and building your brand reputation. That additional inventory you started picking up in the early days? It helps ensure that your customers can always get what they want, when they want it. The friendly, ambitious new hire you brought on? She’ll help connect with customers and turn more potentials into completed sales. All the little things that you do to prepare for growth will come together once your marketing efforts start bringing in new customers. It may not be the flashiest way to increase sales, but by letting your company’s growth lead sales instead of doing it the other way around, you can be sure that the sales boost is going to last. In this section, we’ve covered a few key ideas of ways to invest in your business for growth. Let’s go over everything again so you can have a checklist for review. When your business starts making a profit, reinvest that profit into the business itself to make sure it’s ready for the growth to come. Make smart hiring decisions based on what you’ll need in the future, not what you need right now. Consider your message and how you’ll distribute it when developing marketing plans during your business growth period. Don’t just focus on making sales; incorporate your growth plans into sales strategies to help make your growth sustainable. 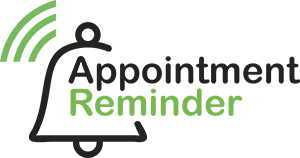 If you’re ready to invest in an automation solution, why not try out Appointment Reminder for free? We help small businesses like yours automate client appointment reminders, which dramatically cuts down on no-call, no-show appointments.